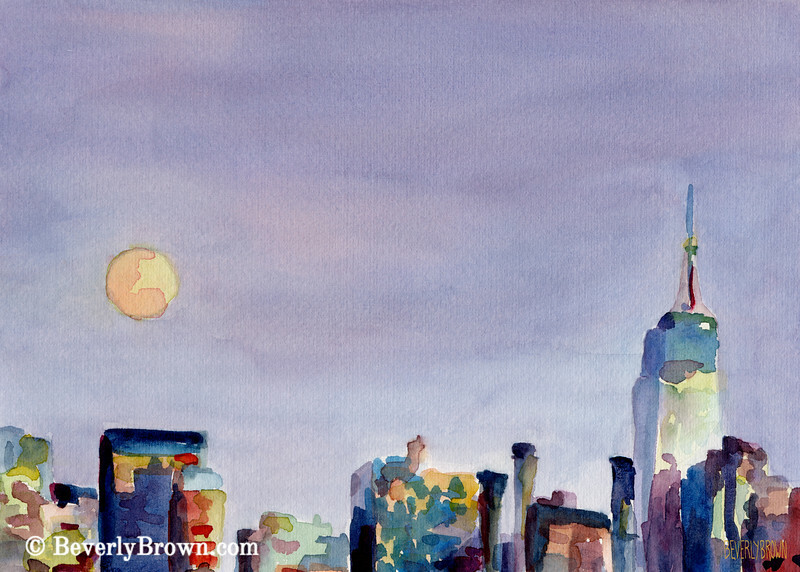 shop now An impressionist watercolor painting of the Midtown Manhattan skyline at night with a full moon. The Empire State Building rises above the other buildings on the right. © Beverly Brown.